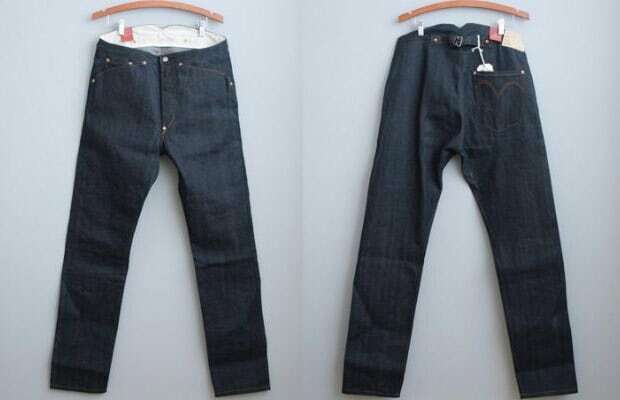 Levi&apos;s Vintage has released a great pair of jeans from its extensive archives. These &apos;1878 Pantaloons&apos; have a western feel to them, and is filled with amazing details. These jeans are made with rigid indigo selvage denim. These also have a tapered leg, button fly, copper rivets, single pocket at rear, and a cinch-back to adjust the waist (no belt loops!). Reinforced at the crotch & knees, the sturdy quality will make these last a lifetime. Made in the USA and available now for at CHCM Shop, $295.